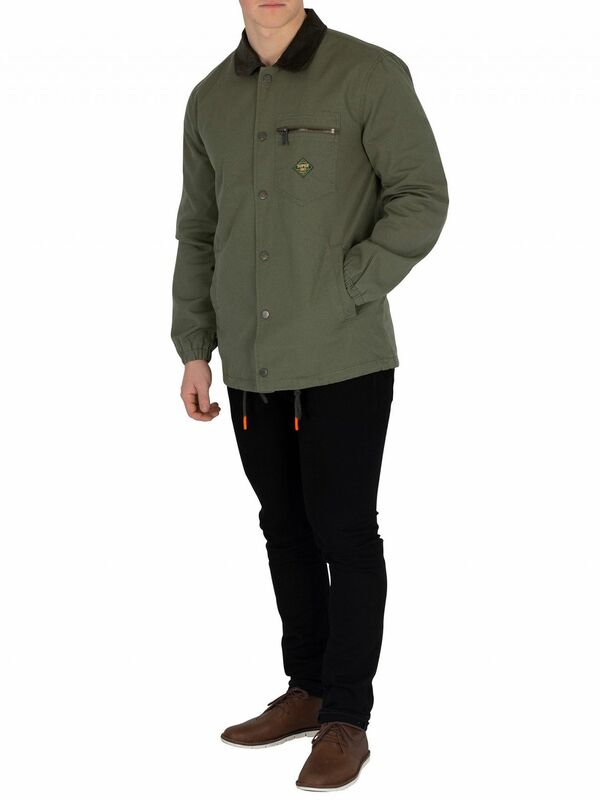 The Supersonic Canvas Coach Jacket from Superdry comes in Sage colour, featuring a spread Sherpa collar and popper button closure. 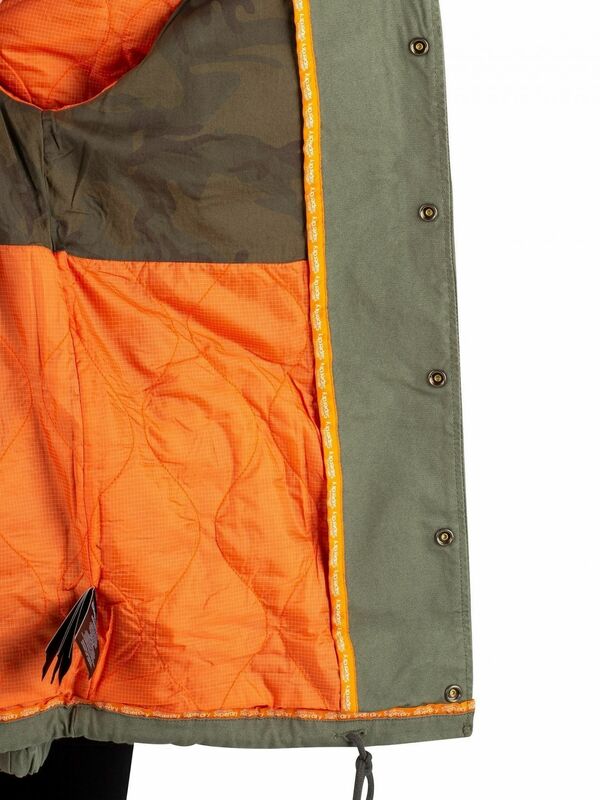 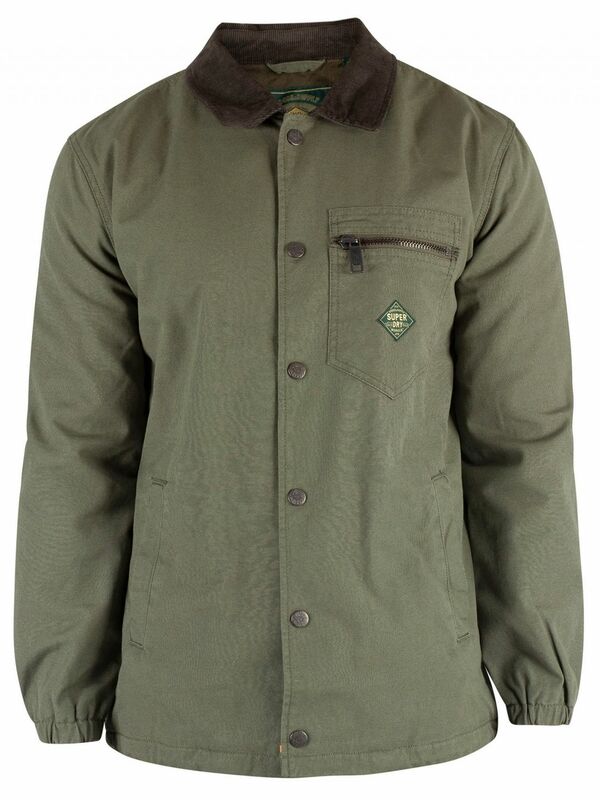 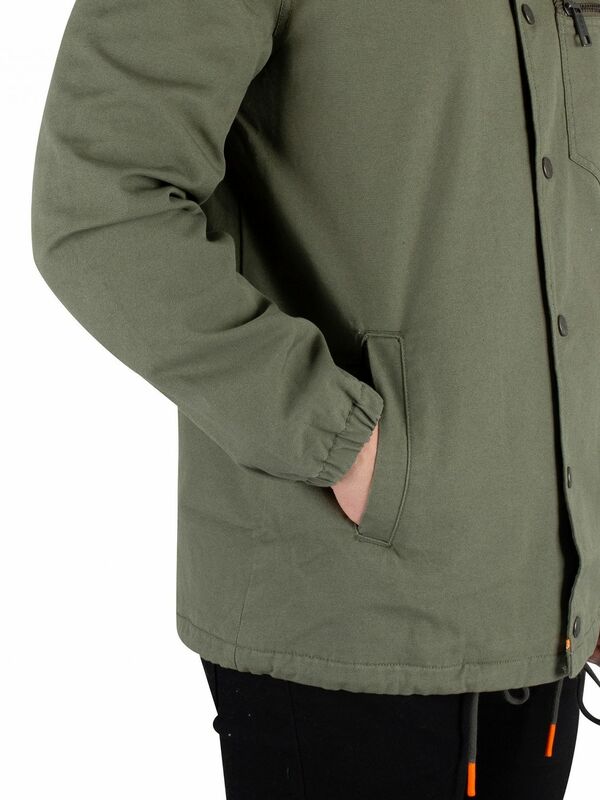 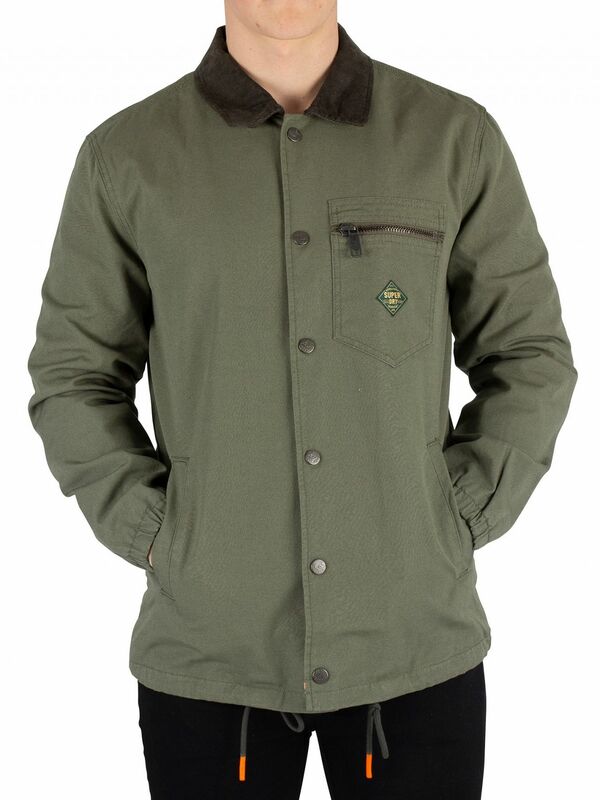 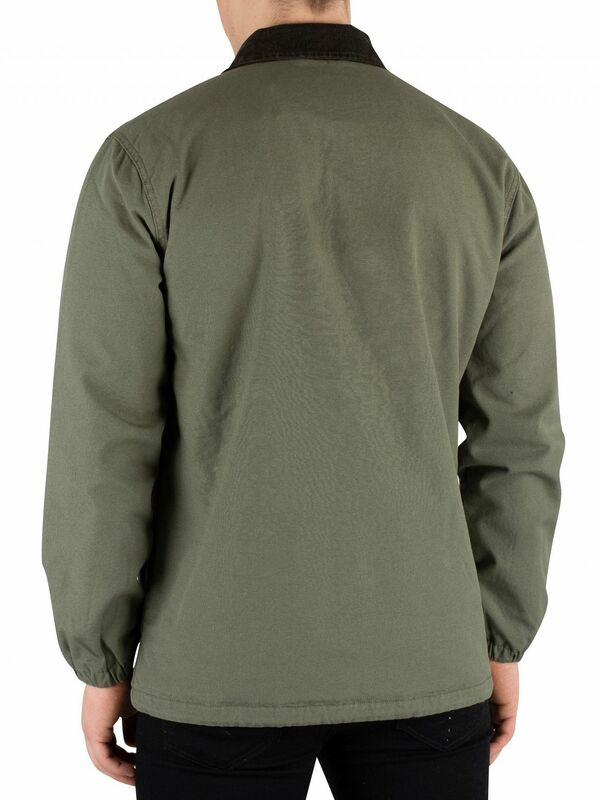 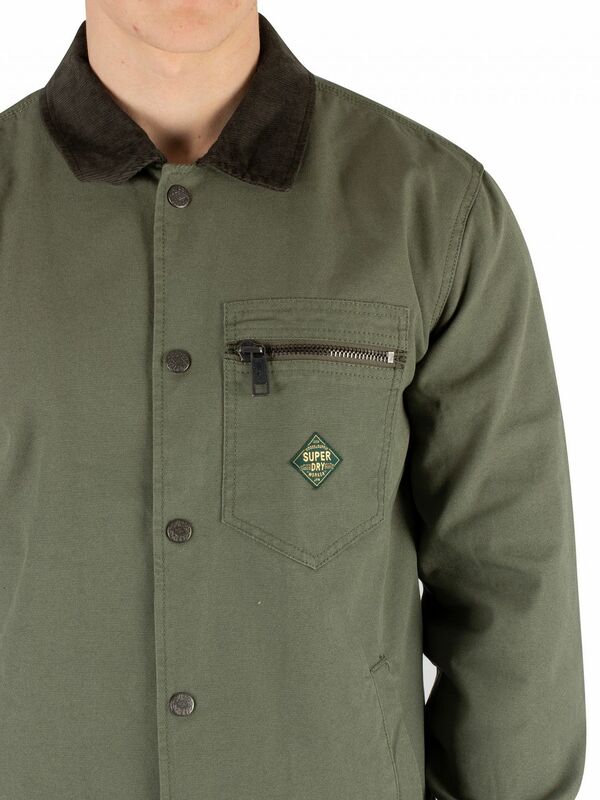 Also, with drawstring hem and branded buttons, this jacket sports elasticated cuffs. 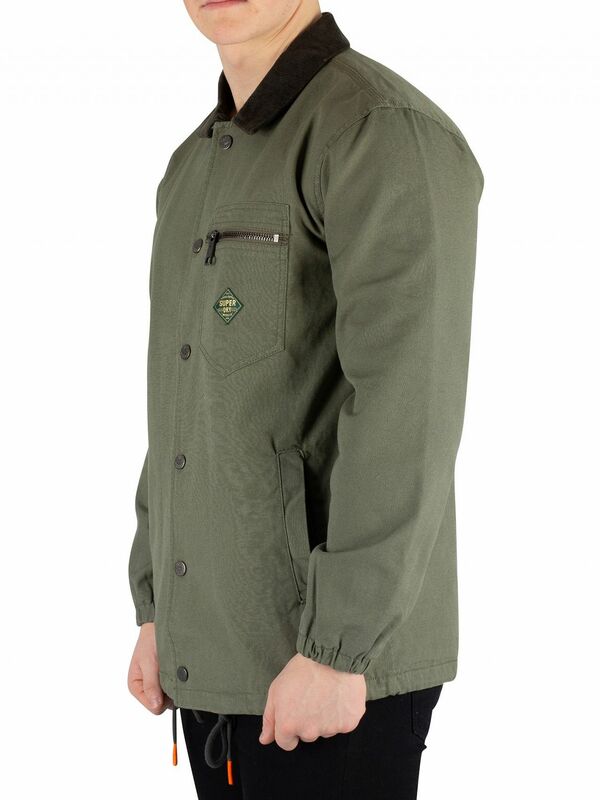 This jacket with open side pockets and zip chest pocket, featuring branded badge on front.